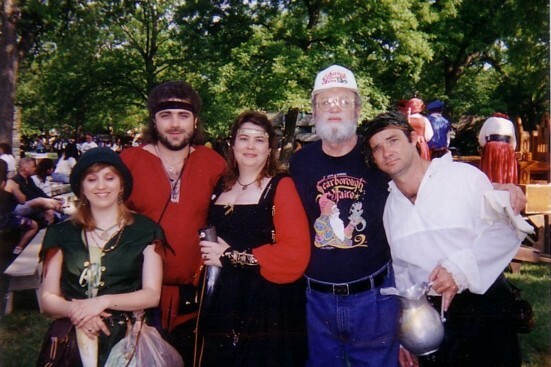 1995 - Colleen, Chris, Leah (ah, Marga the Pirate is showing her colors!!! ), Dan Bates as Joe Patron, and (Stephen???) the Waterbearer! God Bless the Waterbearer!!! 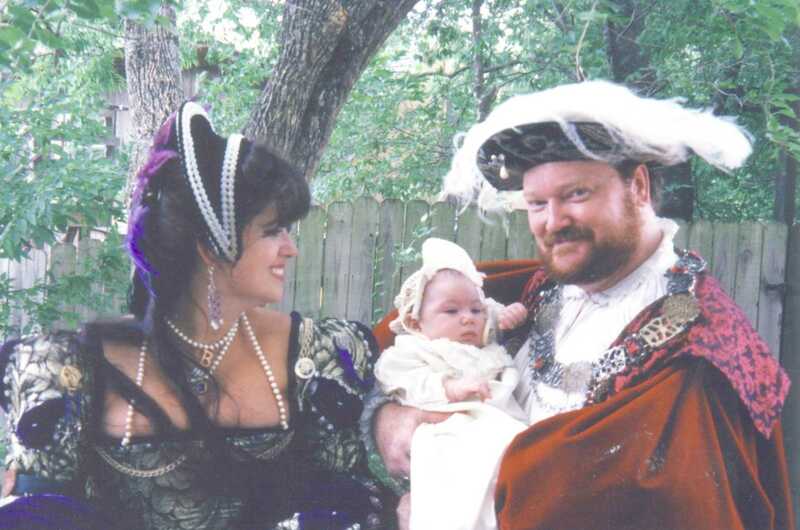 Leah, Chris, and Myryha at just 2 months old! (Born Feb 6). More photos coming soon as we transfer, scan and upload!!!! Baby Myryha meets the Elephant at Hawkwood later in summer of 96. 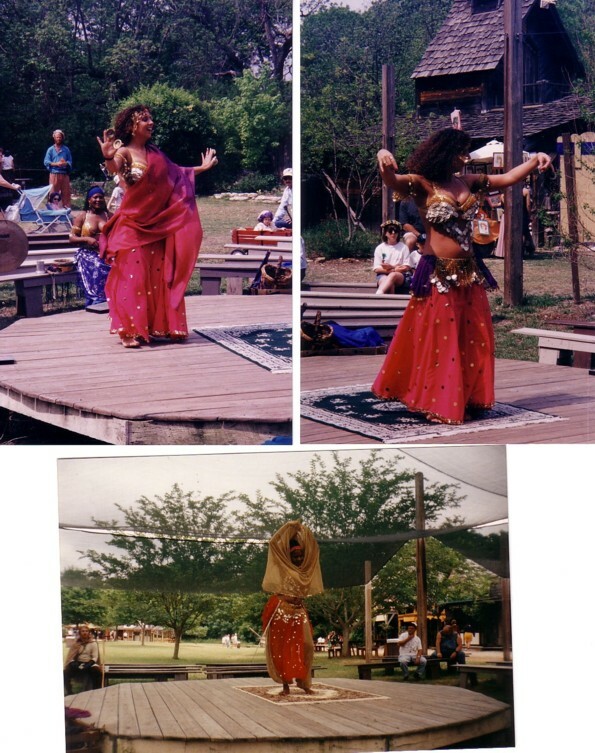 Miabella (top) and Louisa (seated in top, dancing in lower photo) on the Sa'ida Stage, now Hollyfield stage. Lower photo, behind Louisa is where the old Catherine (ship stage) was (past the people dining under the tree) and the meadow is strangely empty (now taken up by the new Ship Stage).